Walter George Thomas Summers was born into a theatrical family in Barnstable, Devon on 2 September 1896. He gained considerable stage experience before joining the London Films Company in 1912 as an assistant to George Loane Tucker . The First World War temporarily put his film career on hold, but on leaving the Army as a captain awarded the Military Cross and the Distinguished Service Medal, Summers was employed by Cecil Hepworth . Disliking the novelettish type of subjects the company made, he left and, after further service with the Territorial Unit in India in 1920, joined GB Samuelson as a scriptwriter. 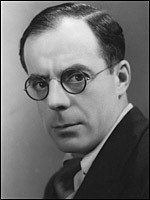 He quickly established a good rapport with the ebullient entrepreneur, scripting Married Life (Alexander Butler, 1923), a rather demure rendition of the then-infamous book by Marie Stopes , co-directing two films with Samuelson, and making his debut with A Couple of Down-And-Outs (1923), a modest tale about a soldier who becomes a tramp. When Samuelson experienced financial difficulties, Summers moved to British Instructional Films , best known for its reconstructions of historical events, where he made the impressive and widely acclaimed The Battles of the Coronel and Falkland Islands (1927). The films that followed, especially Bolibar (1928) and The Lost Patrol (1929), enhanced his burgeoning reputation, and he showed himself adept with the new medium of sound films with a lively Betty Balfour musical, Raise the Roof (1930). When BIF was taken over by British International Pictures , Summers was offered a contract. BIP was a major company but one with a reputation of making films on the cheap. A director like Summers, who possessed boundless energy and was totally dedicated to getting the film made, was an invaluable acquisition but he was too eccentric and forthright ever to become a company man. Initially he was given considerable leeway, both in resources and stories - he was allowed to make the anti-war film Suspense (1930), for example, and to shoot Timbuctoo (1933) on location in Africa - but by the mid 1930s he was being restricted to routine studio assignments. Reflecting on his early work as a scriptwriter, Walter Summers observed: "I didn't wait for inspiration. I was a workman, I worked on the story until it was finished. I had a time limit you see. We made picture after picture after picture". This ethos applied to his directing assignments too. Churning out product became so ingrained that when given larger resources, with for instance The Return of Bulldog Drummond (1934), he seemed to lose his sureness of touch. But by the end of the decade he had found his metier with macabre thrillers and fast-moving whodunits. Premiere (1938), a backstage murder mystery, and the much filmed crime melodrama At the Villa Rose (1939), make good use of their settings and are full of odd little cameos and deft directorial touches. The Dark Eyes of London (1939) and Traitor Spy were produced at BIP's second-string Welwyn studios, and look less glossy. Nonetheless, Greta Gynt's frail but intrepid heroine, Bela Lugosi's unctuous villain, and Summers' fast moving direction help make The Dark Eyes of London a film richly deserving its 'H' (for horror) certificate. Traitor Spy (1939), an eve of war spy story, is more realistic, and as well as Summers' characteristic vigour and inventiveness, offers fascinating glimpses into London's low life. Summers rejoined the Army during the Second World War, and though he returned to Associated British in 1946 he never directed another film. Disappearing into undeserved obscurity, he died in April 1973 in Wandsworth, London. His son Jeremy also pursued a career as a director, initially in films, later in television.